I am the living authority. Position: Leader of the Keepers. Profile: Supreme ruler of the Sanctum. A secret council embedded within the Keepers. Personality: Maniacal, manipulative, autocratic, tyrant, oppressor. 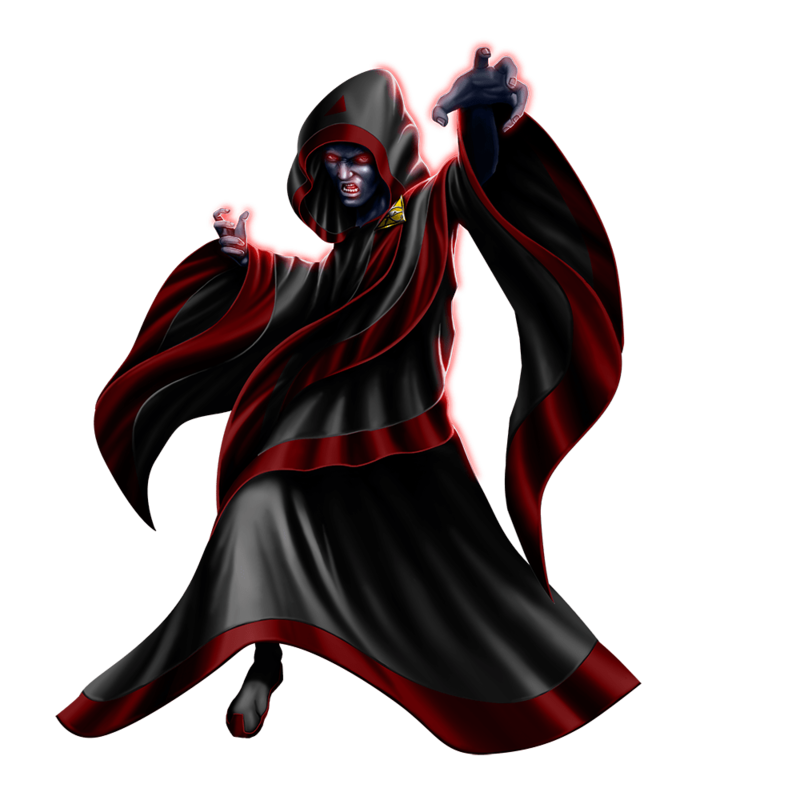 Abilities: The High Councilor wields an ancient energy from a parallel dimension that he harnessed through a scientific process. The energy makes him almost indestructible. He also has the ability to pull a person's spirit from their body. The High Councilor's origin is clouded in mystery. Many believe that he is a former citizen of Cergaron who went on a journey seeking enlightenment. He returned from his journey a changed man and many people marvelled at his wisdom and insight. He preached a message of peace and unity and a bright future. Many were drawn to him and he began a movement known as The Keepers. The Keepers were considered an intellectual group. They were not religious but all who would become a member of the Keepers were required to renounce their citizenship and religious belief. Gradually the group grew to a prominent place in the politics of New Genesia. The High Councilor was instrumental in brokering the peace that was established at the end of the war of Omiciron. All agreed with him when he suggested that The Keepers, who had no affiliation with any realm, should be the ones who would be the arbitrators of peace in New Genesia. He proved to be brilliant in his leadership and quickly rose in the eyes of all the people. His main motivation, however, has always been power. His ambition drives him. During his journey of enlightenment, he encountered an ancient being that granted him power and charged him with the mission to rule all of New Genesia. Creating the Keepers and establishing them as overseers of New Genesia is but a small part of his overall diabolical plan.